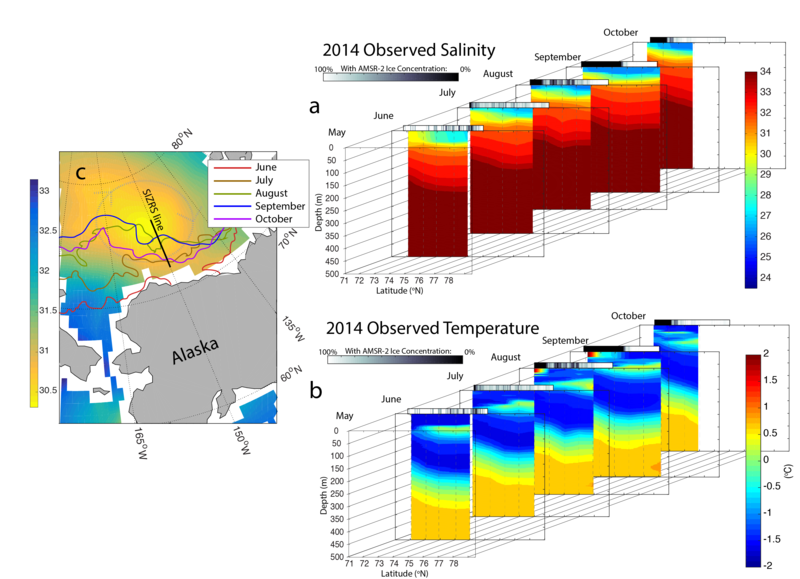 SIZRS will make oceanographic profile measurements as part of a larger multidisciplinary effort to track and understand the changing seasonal sea ice zone (SIZ) of the Beaufort and Chukchi seas. . The changes in the interplay among the ice, atmosphere, and ocean require a systematic SIZ observational effort, covering up to interannual time-scales, in order to understand today’s Arctic sea ice cover. 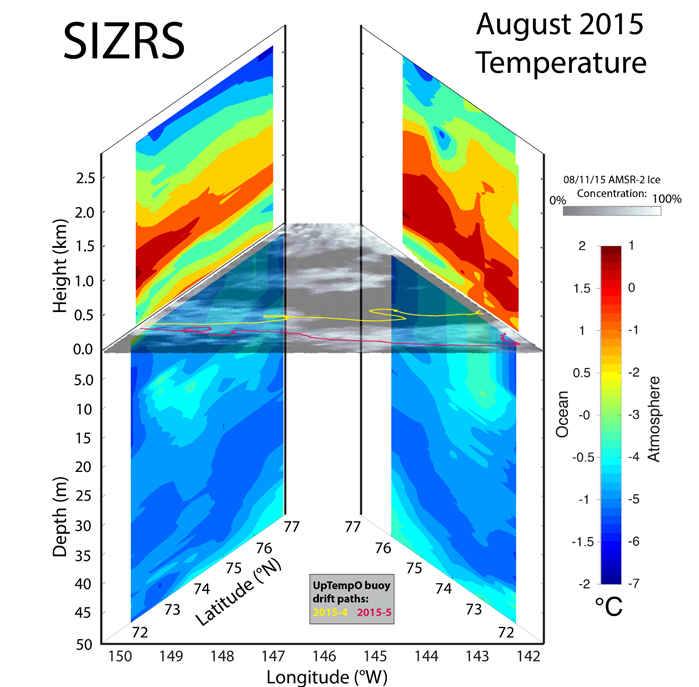 The role of the ocean in controlling SIZ ice conditions is clearly significant. 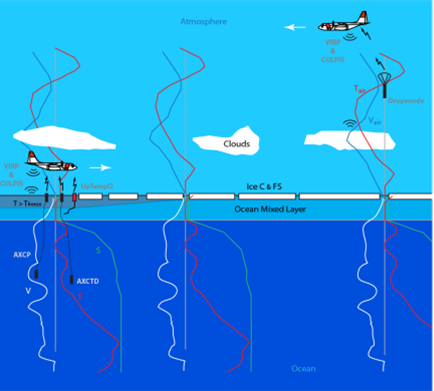 Thus, ocean property profiles are key elements of the SIZRS measurement program, and we propose to provide repeated synoptic snapshots of ocean conditions across the Beaufort and Chukchi seas SIZ (BCSIZ) by launching Air eXpendable CTDs (AXCTD) and Air eXpendable Current Profilers (AXCP) during U.S. Coast Guard Arctic Domain Awareness (ADA) flights of opportunity. 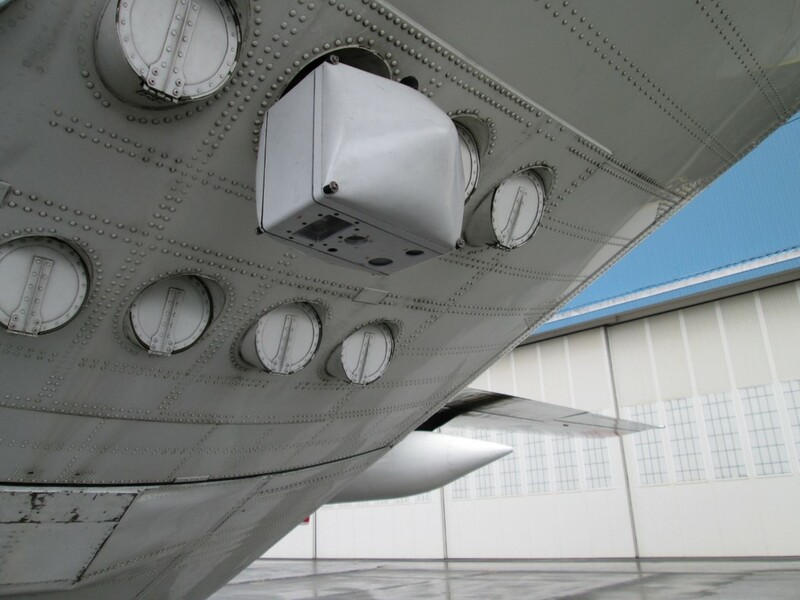 We air-deploy buoys that measure the temperature profile of the upper ocean continuously and report the data via Satellite. SIZRS allows us to deploy these buoys in locations and at times that would be difficult to reach otherwise. 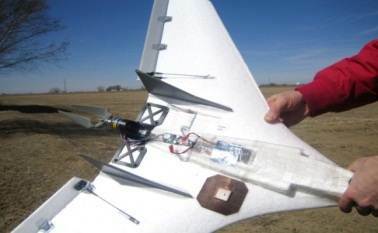 This development of air-deployable, continously sensing measurement technology, contributes to the development of an Arctic Observing System that provides the data needed to understand changes occurring in the system. 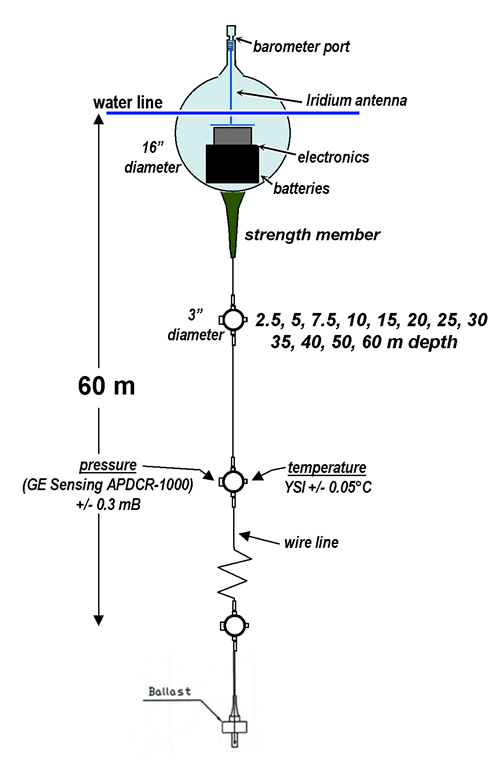 UpTempo Buoy Design SST products from different sources. UpTempo buoys are helping resolve differences and improve products. From Castro et al. 2016. 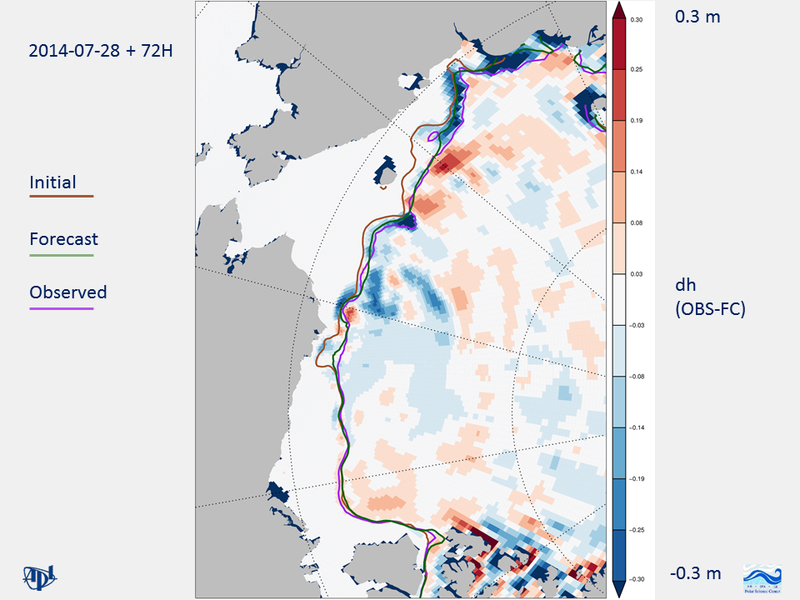 Determine how changes in sea ice and sea surface conditions in the SIZ affect changes in cloud cover. 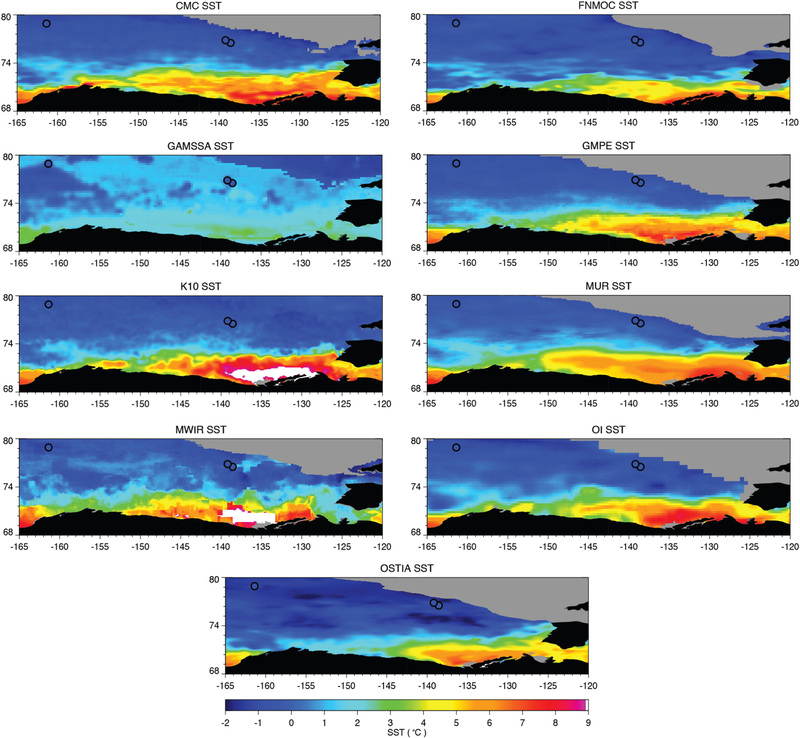 Determine the role additional atmospheric profile observations may play in improving the quality of weather forecasts and ice predictions for the SIZ of the Beaufort and Chukchi Seas. 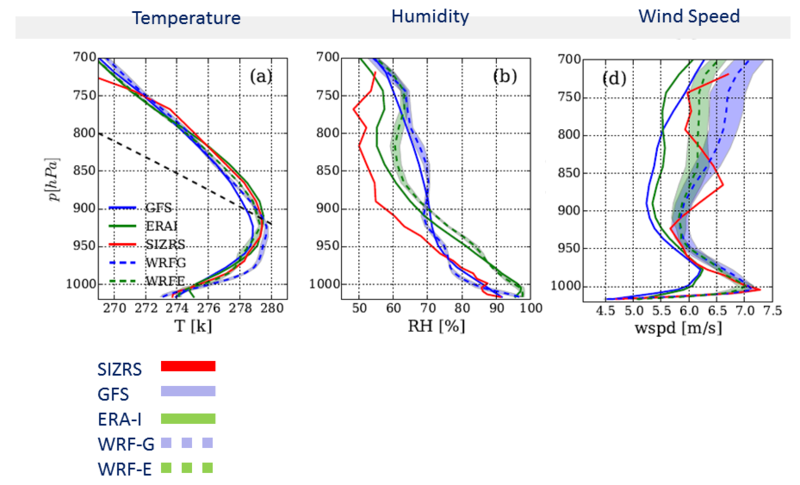 Temperature, Humidity, and Wind Profiles from SIZRS flights. Comparisons between Dropsondes, ERA Interim, GFS, and WRF model runs initialized with ERA-I and GFS are shown. From Liu et al. 2014. 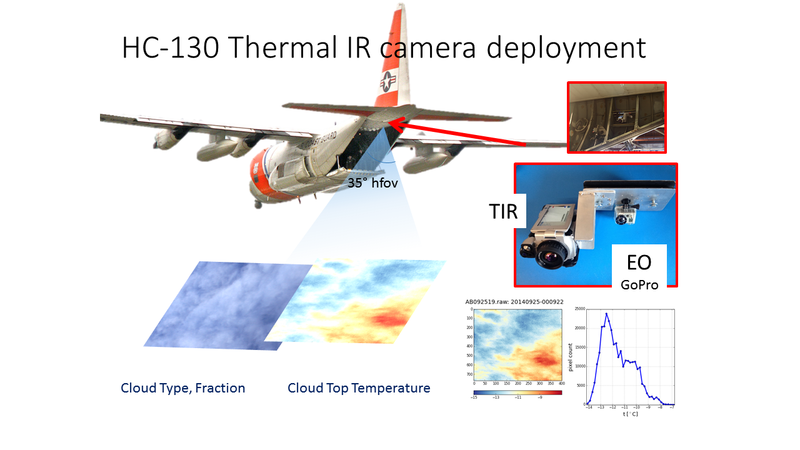 We conduct regional modeling experiments with the Weather Research Forecast model to assess the quality of current analyses, to understand the interactions between atmosphere and sea ice and to advance characterizations of clouds in the Arctic. 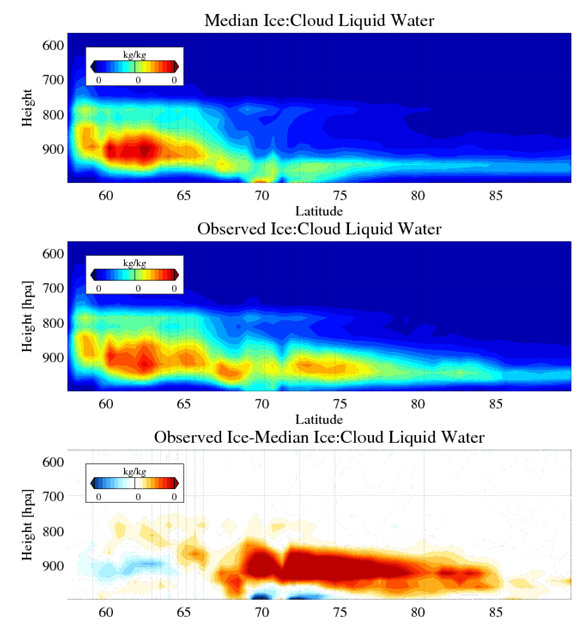 WRF modeled latitude-height cross section of Atmospheric Cloud Liquid Water in response to changes in sea ice concentration. We model sea ice variability, assess the quality of sea ice drift and ice edge forecasts, and identify how to make improvements. Sea Ice Forecast using the MIZMAS model. Figure shows the ice thickness between the reanalysis (OBS) and the Forecast, the initial and forecast ice edge after 3 days.